resource for both our neighborhood and our local community. For price quotes on camper storage, please phone 865-207-6005. • Refresh your knowledge on boating laws and safety practices. • Learn and share best practices with family and neighbors in a social comfortable setting.Educated boaters are safer boaters. This benefits all captains, guests and crew in the prevention of injuries and property damage.See attached flier for details and registration information. Contact Matthew Murphy with questions at fishhard2000@gmail.com or 614-886-6732 or sign up at the Sunset Bay Clubhouse. Register soon to allow for space and materials planning. Boat lifts are now permitted at the marina. Lifts for boats, pontoons/tritoons, and jet skis may be installed but must be approved in advance by the Marina Committee. Five lifts have already been installed at the marina for tritoons, pleasure and ski boats. Approval is required to prevent damage to the dock, ensure that it does not interfere with the adjacent slip, and to maintain the integrity of the marina. Approval may be obtained by contacting Dave Skorny (609-288-0111, rails42@yahoo.com) or Scott Gregory (440-452-9486, ssgregory@bettcher.com) who will obtain approval from the Marina Committee. Approval is expected to be almost immediate if comparable to the current installations or within 2-3 weeks for new installers. A $500 deposit is required which would cover any damage when the lift is removed. The money will be placed in a separate bank account and be readily available if and when the lift is removed. Checks can be made out to the Norris Shores Property Owners Association and mailed to P.O. 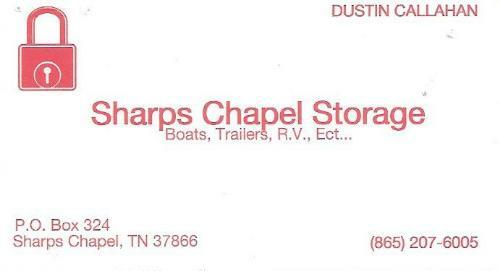 Box 2, Sharps Chapel, TN 37866. A slip rental is also required which is accompanied by a copy of the boat registration and proof of insurance. An identification sticker, provided by the Association, must be attached to the boat as well. If you have any questions, please contact Dave or Scott.